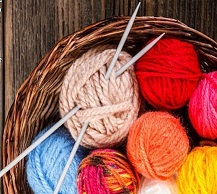 Knitters and crocheters of all experience levels are welcome to join us at this fun, informal group. See what others are working on, get advice from other crafters, learn new techniques, and share your own work. Bring your obstacle or confusion - we'll comment and advise to get you going again.